Increased UK infrastructure spending of 1% of GDP would create more than 200,000 new jobs in the same year and help narrow the infrastructure investment deficit, according to latest analysis by financial services company Standard & Poor's (S&P). The firm says in its new ‘Building for Growth’ report that the infrastructure deficit stands at more than £60Bn. This is despite Government’s promise to unleash private sector investment in the sector to spur growth. S&P added that each additional £1 the UK spends on infrastructure in one year will increase real GDP by £1.9 over a three year period. The company said that while the debate on infrastructure often focuses on cost, it believes the returns on investment are equally important. 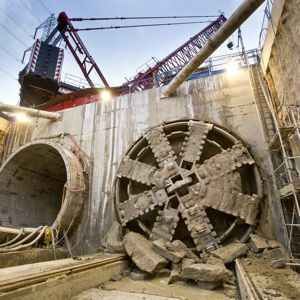 S&P expects infrastructure investment to increase over the next decade, which it says will create significant opportunities for private capital investment in the sector, boosting the country's economic growth in the short and long term. However the company pointed out that the need for greater investment in the country’s infrastructure prompts questions about how to finance it, at a time when government debt is rising and the country's budgetary deficit remains significant. Government has implemented a deficit reduction program, which S&P said is likely to constrain its ability to finance new infrastructure projects. It added that Government seems to expect to publicly fund only one quarter of its infrastructure pipeline. “There will therefore be significant opportunities for the private sector,” S&P said. “While we expect real GDP to grow by 2%-3% per year over the next several years, we believe higher infrastructure investments could lift growth further and bolster the UK's competitiveness. And given the UK's fiscal challenges, this couldn't come at a better time,” it added.